What would be the point of championing personal “freedom” without championing “diversity”?. How can one talk of how fervently he or she values their own ability to make choices, have control of his world view and life styles, what actions they take today and in the future, without regarding the freedom of choices in others? If one wish to advocate to others his / her ” personal freedom” : What is in it for his audience if they can’t have this same freedom for themselves? Please excuse my rhetorical device…. No one actually to told me that they disdain diversity today . I am just entertaining the idea that social diversity and personal freedom go hand and hand. After all, I expect that a large group of people, a community made up of individuals who enjoy their freedoms , would result in a community made up of individuals who act and think quite differently. — potentially a diverse population. I couldn’t possibly advocate personal freedom, without advocating the freedoms for others, the freedom to be different in some way than others. You see, in my estimations , We still need to include group ethics in a conversation of freedom of the individual. Freedom is contextual, there would be no need to talk of civil liberties of persons (or other critters) if their was no one else around. I champion the ethics of reciprocity and dignity , the golden rule : treat others as I would wish to be treated; expect the same in return; expect that all sides are esteemed. Its a cornerstone of individuality and diversity in community. If I demand others to tolerate my personal freedoms in choices in belief , attitude and action then i must tolerate other’s freedom in choices of the same. To do so is to expect that another may have a different lifestyle, way of thinking, way of being, then my own. If we are not trampling on each others dignity, well -being, or personal freedoms this should work out fine. To respect one and another, does not mean we have to like every aspect of one and other. To do so is to respect and expect diversity and personal freedom. I still believe democracy is still important. I also believe in the spirit of civil rights: that a person has ownership over his body and is free to cognate (think, feel, be attract to, be mindful of) as he/she wishes — whether I like what or how or a person thinks or not. Its really that outward actions that one places guidelines and restrictions on — this: responsibility part of freedom/responsibility. what one “owns”, one is responsible for. Freedom and responsibility are intertwined. This is an ideal condition. More accurately i believe most people are best suited gaining relative freedom, responsibility, and self-sustainability, whether by pursuing these concepts or recognizing opportunity as they come along. Physical and circumstantial conditions can limit these realizations for any person. However I am going to stick to an ideal concepts for now. If freedom of choice and thought is individual right to cognate as he/she wishes, then responsibility is something that includes more than an individual.. a group or a society. How can a group of free thinking and choosing individuals, with so many different attitudes and thought processes, come together and decide how not to trample over each other with their actions? The following video is an interesting video that suggests that Democracy is, metaphorically, a intersubjective market place for individuals to decide standard value and meaning in a group dynamic… such as community or society. A market, group or society makes decisions on values and meanings as a whole while its diversity engines the interaction between components or individuals. Interesting video shared by randyhe.[.. ]man entitled “Intersubjectivity“. The narrator uses the example of a stock in a market to demonstrate how intersubjective relationships determine value. As he demonstrates on the chalkboard it is the the whole of a free market that determines a price of a stock, and the market requires subjective disagreements between individuals with different perspectives to work. That is, without the differences of subjective valuing of a particular stock, with different subjective opinions of the individual buyers, sellers , no trading activity would take place. Even though the participants have come to this market with similar interests: business, market trading, interest in a the same stock, …it is the difference of their belief ( in particular the worth and value of a stock) that makes the market work. 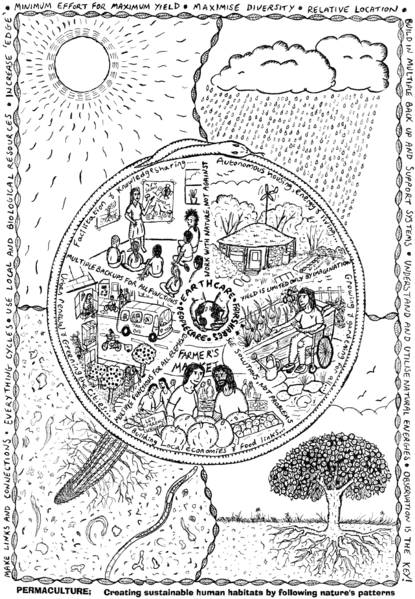 If I look at this Market as a simplified model of a society, what can I infer? Although people often seek out common interests, values and other people like themselves… its the diversification of people in a democratic society that sets the societies values. We are in a society as bound by our differences and disagreements as we are bound by our similarities. if our economy is engined by the diversity of subjective disagreement in valuing, diversity of professions, I may assume that socially …as communities or nations… we are better with diversity. Diversity in faiths, philosophies, opinions, conservative and liberal view points, life styles, etc. What can we live with? A society makes decisions as a whole based on values and belief that are different then its individuals. This means to preserve our individual rights, beliefs and values we must tolerate other subjective rights, beliefs an values, and come to common decisions we can all live with, decide by a democratic society as a whole. A democratic society of individuals in complex relationship is powered by its diversity of subjective view points and lifestyles ,as it is its common-ness. If we do agree as a democratic society that diversity is a necessary….or at least diversity is a positive attribute, than we must have some definition of tolerance. One must be able demonstrate patience and fairness when dealing other individuals who think, believe and act differently then himself, if not welcome the differences. One must be able to deal fairly with people differing faith, ethnicity, health, education , background, gender and age, etc that is different then themselves, as they have different needs and values, but are just as important to a society. Tolerance is an important personal ethic to define, just as other intersubjective ethics such as reciprocity and dignity. I think that, if we look objectively at societies as gestalts of intersubjective interaction, we can better understand the relationship of the individual to society. At the same time individuals interact within a spectrum of agreeing and disagreeing values ,beliefs, and perspectives they also come together to make decisions as a whole in democratic community, nation, or society. To empathize is to imagine another’s experience, compare that experience with his/hers and to be affected. One empathizes with another person(s), organism(s) and their circumstance. It should be noted, that from a stand point of certain schools of thought,as in Zen Buddhism, Humanistic Psychology and existential- phenomenology, an organism is always considered with his circumstances. One is always interacting, affecting and being affected by his environment . This is “experience”, the participation of an organism in its world. “Phenomenology” is big ugly word for the study of experience(s), from subjective lenses. “Empathizing”, is being affected by and imagining another(s) experience(s). Is it at all possible to remove all bias? Some psychologists argue that perspective taking is a primitive form of empathizing . Alfie Cohen, Author of “Brighter Side of Human Nature“…… poses another phenomenological approach to empathy that he calls “feeling-into“. To “feel-into” another’s circumstance, personal happenings, gestalt or being-in-this-world. Feeling-into is an full cognitive investigation of another’s subjective experience. I do believe that there are people who can empathize or feel-into another’s situation without compassion. A study of the psychopathology of some dangerous criminals might support my claim. For example: there are a few who feel powerful or aroused when they imagine themselves as the victims of their violent attacks. in this case there is empathy and perspective taking, for pathological pleasure, but no compassion. To act with compassion is to act and empathize, while recognizing and considering suffering. To act with compassion is to act and be affected by the suffering of others. Understanding suffering is at the core of any study, religion, or way-of-being that is called Buddhism. Thus compassion is a much talked about subject-matter . Understanding the nature of suffering is fundamental to Buddhist practice. Four Nobel Truths of Buddhism . In Christianity, (at least from my non-religious outsider’s stand appointment), A great deal of importance is placed on the suffering of Jesus at the end of his days. In interpretations, God seeks to empathize with man in the Life and times of Jesus. Followers seek to understand God in part by empathizing with the life and Crucifixion of Jesus. The very important Christian theme of Redemption is tied to suffering and compassion just as it is the teachings of Jesus, in the “Sermon on the Mount“. Compassion is care for others. What can, at times, be overshadowed is the care for ones own well-being. IMHO: It is important to act in the same compassionate manner for his or herself, as he does for others. Just as important as anything written here: The care and wellbeing of one’s self and others includes happiness, pleasure, curiosity and a spectrum of experiences…. not just suffering. Compassion maybe a cornerstone of ethics along with self- esteem and reciprocity. If we truly love and esteem ourselves (that is, our being) ; If we treat each other in the manner we wish to be treated, then we may presume that no one likes pain and suffering. We’d care for ourselves and others, and act accordingly— rich in understanding perspectives beyond our own. It would be unethical to deliberatively harm another (or one’s own being) that we have compassion and care for. I have been reading some Soren Kierkegaard quotes, lately. He is one of my favorite thinkers, whos profound words would influence many in the following century. 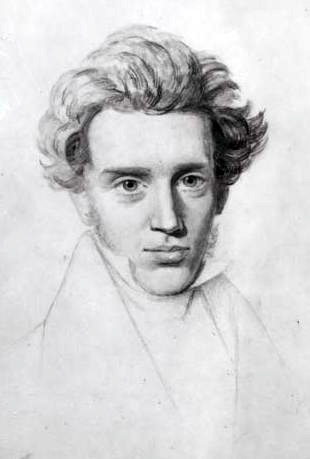 Academics Jaspers, Husserl, Heidegger, humanist psychologist Carol Rogers, and physicist Neil Bohr claimed Kierkegaard’s words as inspiring to them. when one is being labeled he is objectified and dehumanized. As Laura Perls would later say: “without pain there would be no Art“. The decisions one makes between: what he ought to do: his essence; his nature. and what he thinks he should do in preservation (dread) shape existence in Kierkegaard’s view. life is a series choices, the freedom in deciding comes with anxiety. For Soren, ones essence or nature is his/her connecting to God. I wonder what he would have thought of Taoism or Zen, had he discovered it, for essence and nature are harmonizing with Tao and Buddha nature, respectively…. For the pantheist connecting with the Cosmos. Life is not just something to be analyzed from afar. the mysteries, hows and whats of life are understood by living or experiencing. “In every man there is something which to a certain degree prevents him from becoming perfectly transparent to himself; and this may be the case in so high a degree, he may be so inexplicably woven into relationships of life which extend far beyond himself, that he almost cannot reveal himself. But he who cannot reveal himself cannot love, and he who cannot love is the most unhappy man of all“. the path of happiness is authenticity. be true and find ones true nature, within and without and by living it. With that comes compassion,empathy, wisdom and love. from there you can receive daily Kierkegaard “Blooms” on twitter, Facebook, or RSS news Feed.